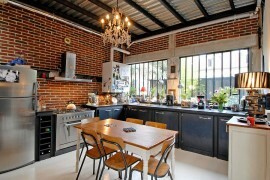 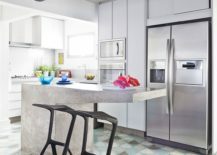 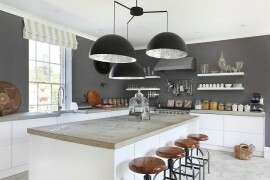 You are always looking for ways in which you can enliven the kitchen by bringing something new and fashionable. 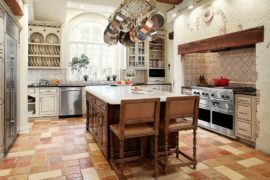 Even though some trends tend to fade away pretty quickly and might not be worth all the effort and time, others tend to stand the test of time and serve you well for year, even decades at times! 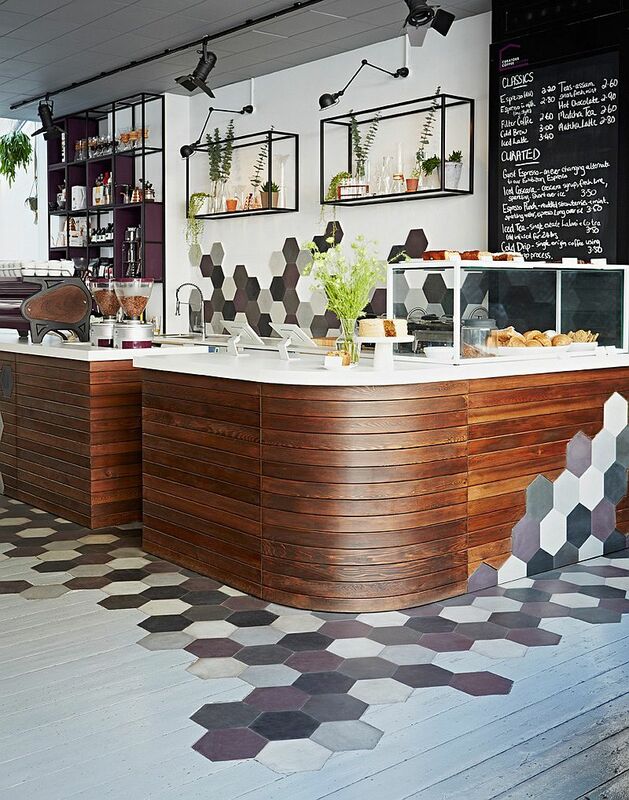 The geo trend definitely seems to be heading towards the latter as it continues to hold its own in the decorating world. Both homeowners and interior designers are looking for brand new ways in which they can add geo panache to the modern home. 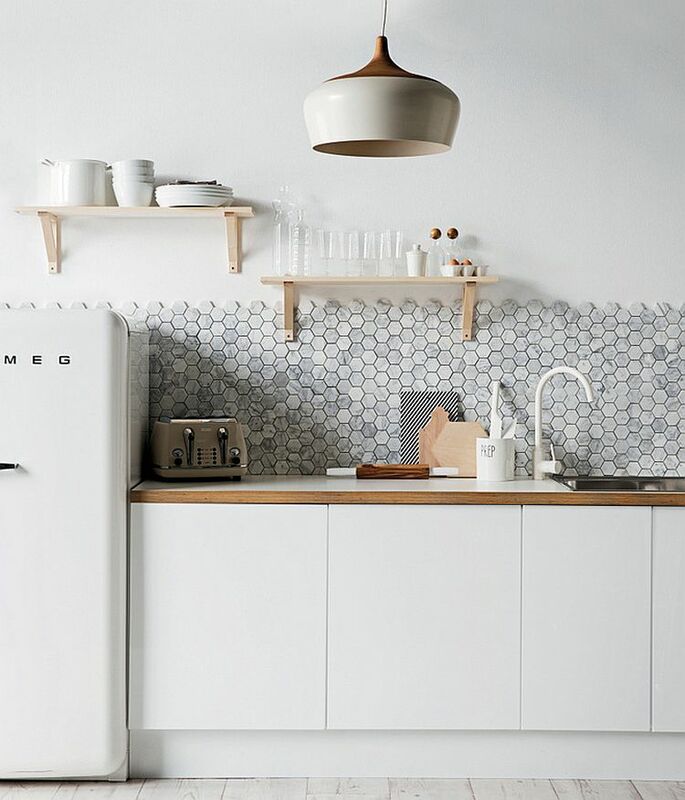 The hexagonal tile in the kitchen is undoubtedly a great starting point! 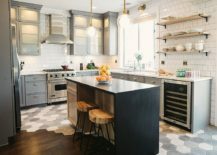 Wood has made a grand comeback in modern homes and a love for ‘all things natural’ is the driving force behind this revival. 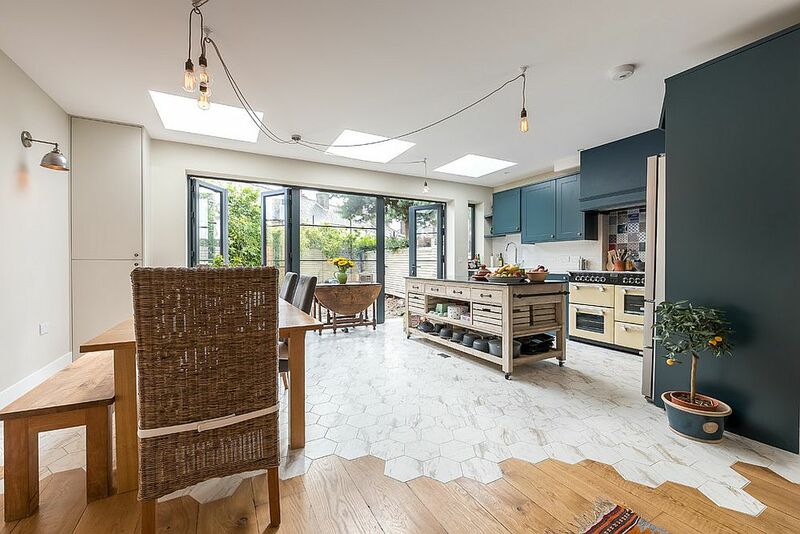 Combing the wooden floor in the open plan living with hexagonal tiles is a great way to bring pattern, texture and loads of visual contrast. 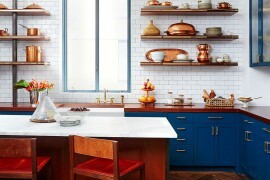 The best part about this is that you usher in all this without ever disturbing the neutral color scheme of the space. 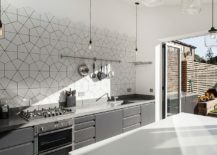 The hexagonal floor tile also offers a unique way to delineate space in the open plan living without actually using half walls or even false ceilings. Contemporary and classy all the way! 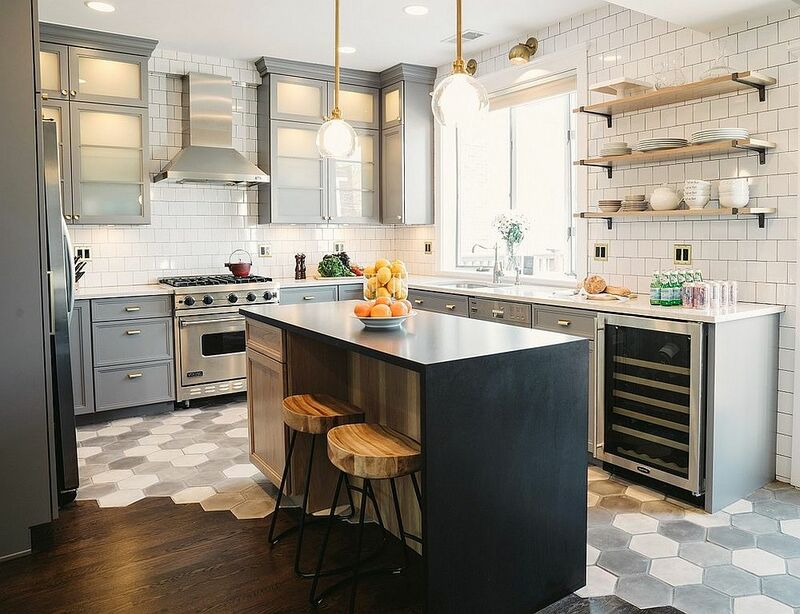 Redoing the kitchen floor and adding hexagonal tiles can be a pretty big commitment and does take plenty of time and effort. 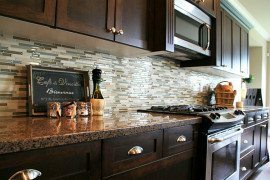 Then there are the obvious cost issues to consider. 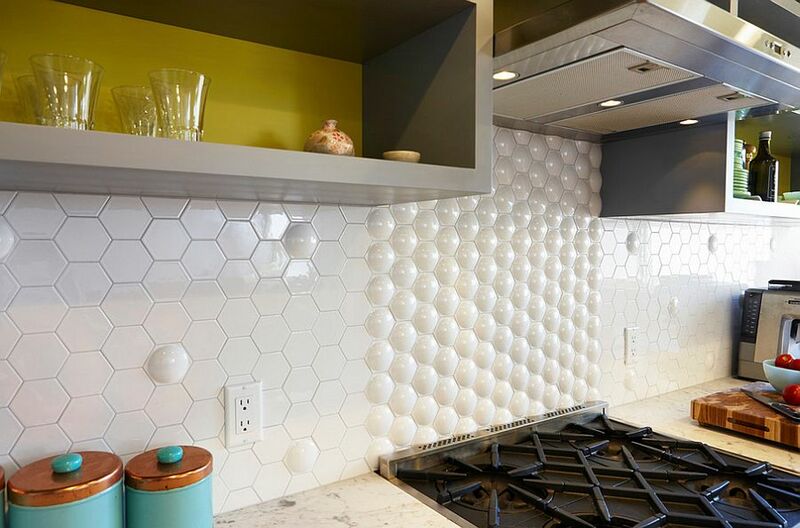 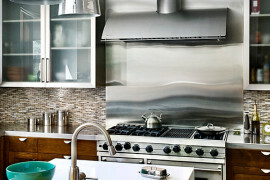 Those looking for an alternate and yet equally impressive option can try out the geo backsplash with hexagonal tiles. 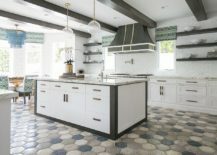 This is a place where you can move away from neutral colors and can opt for tiles that are far brighter and attractive. 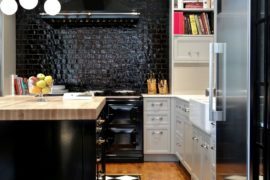 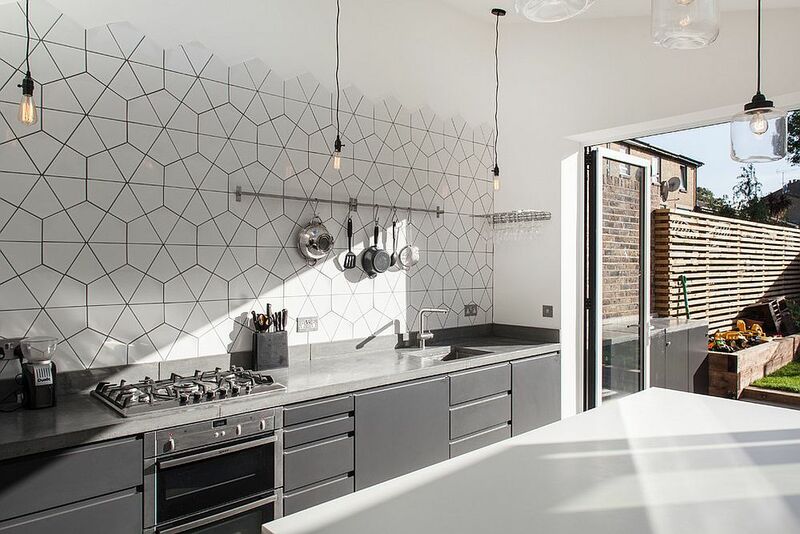 From hexagonal tiles in bold orange to those in dashing black; creative compositions here can give your kitchen a dazzling focal point. 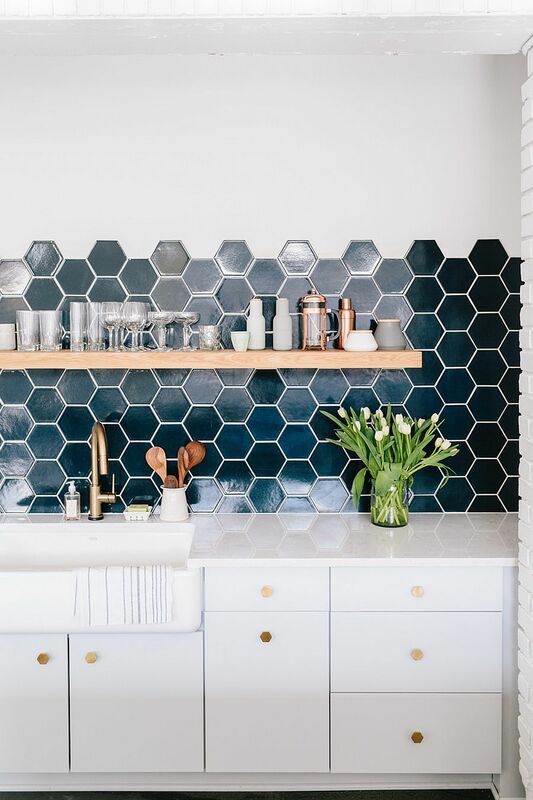 Hexagonal tiles need not be always plain and simple. 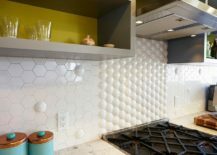 Patchwork hexagonal tiles might be a touch hard to find and also a bit more expensive than their regular counterparts, but they are well worth the extra cash you splurge. 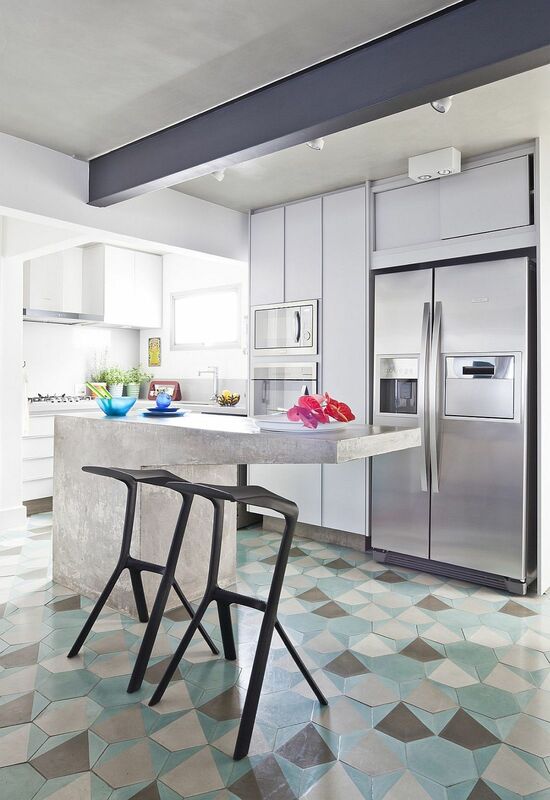 It is best to pick tiles that are monochromatic and do not delve beyond white and shades of gray. 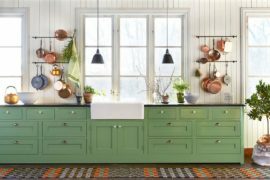 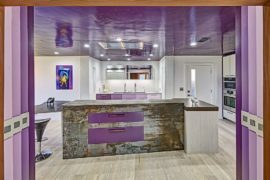 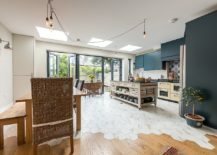 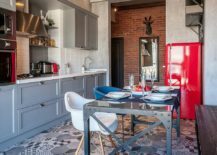 Since there is already plenty of pattern, color can disturb the modern appeal of your kitchen and also can give it a muddled look. 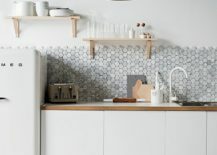 These hexagonal tiles with pattern are perfect for modern eclectic, shabby chic and industrial kitchens.